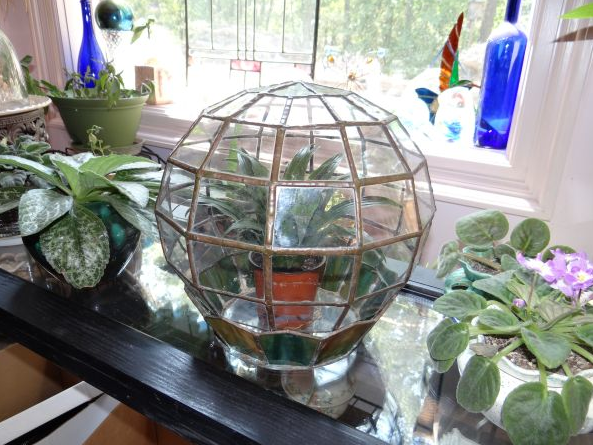 I spotted this one-of-a-kind leaded glass bell-jar type terrarium in the Kansas Craigslist. Here's the link if it's still an active post and you are lucky enough to be local and snap this treasure up. For those with any stained glass experience, would this be a difficult piece to replicate?